If you're sick—literally or figuratively—of 3D now, just wait until the end of the month. HD Guru has Best Buy's schedule for rolling out 3D capable HDTVs and Blu-ray players from Samsung and Panasonic, and they're coming soon. 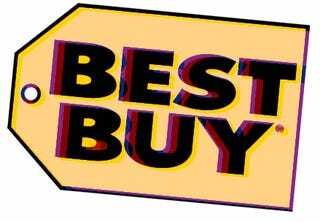 The Guru claims that sales and demonstrations of 3D gear will commence at 200 Best Buy locations on March 10—as in, like, Wednesday. According to his sources, that initial blast will feature Panasonic's 50" TC-P50VT20 plasma 3D HDTV—we've heard it will retail for around $3500—in tandem with their DMP-BD350 3D Blu-ray player. On March 21, Samsung will apparently join the fray, showing and schilling their LED 3D HDTVs—the 46" UN-46C7000 and the 55" UN-55C7000—along with the awesome-looking BD-C6900 3D Blu-ray player at 900 Best Buy locations. TechRadar checked out this package earlier this week and said that if you decide to take the plunge, you won't be sorry you did. Samsung&apos;s 3DTV Gets Early Review: "You Won&apos;t Be Sorry You Bought This"